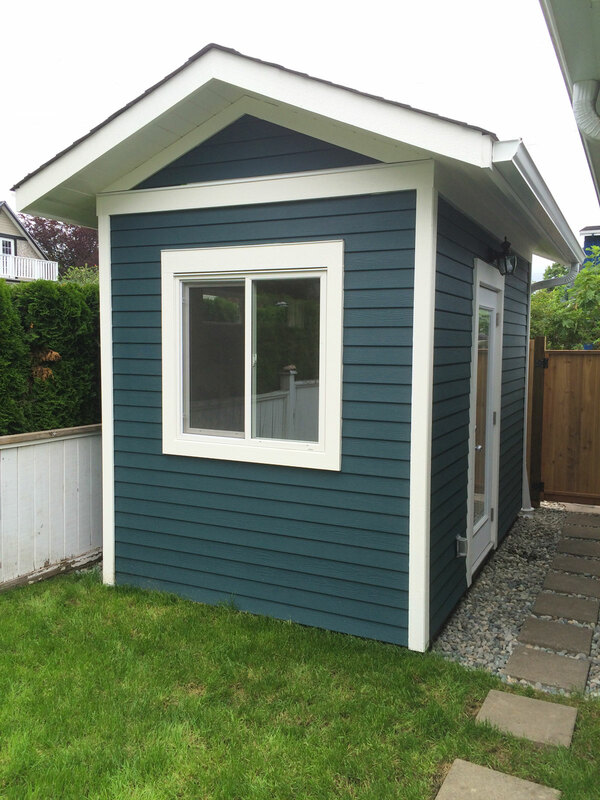 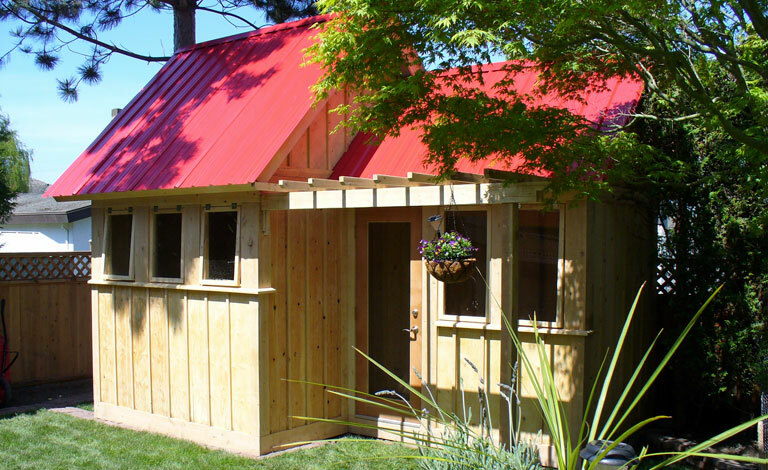 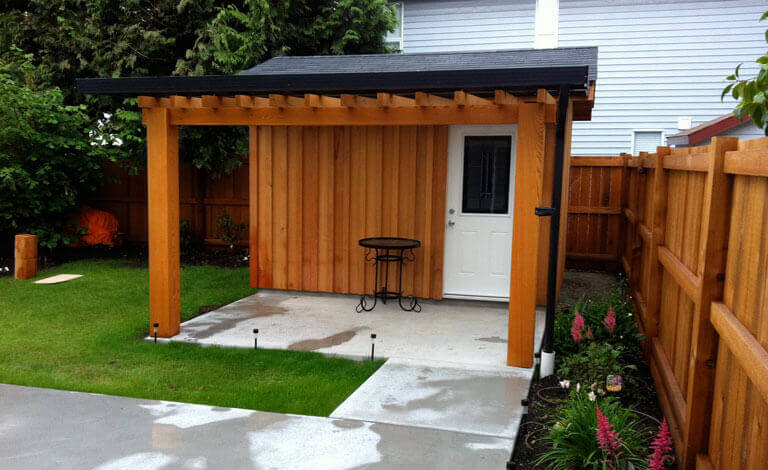 This shed was designed and built to meet the specific needs of the client. 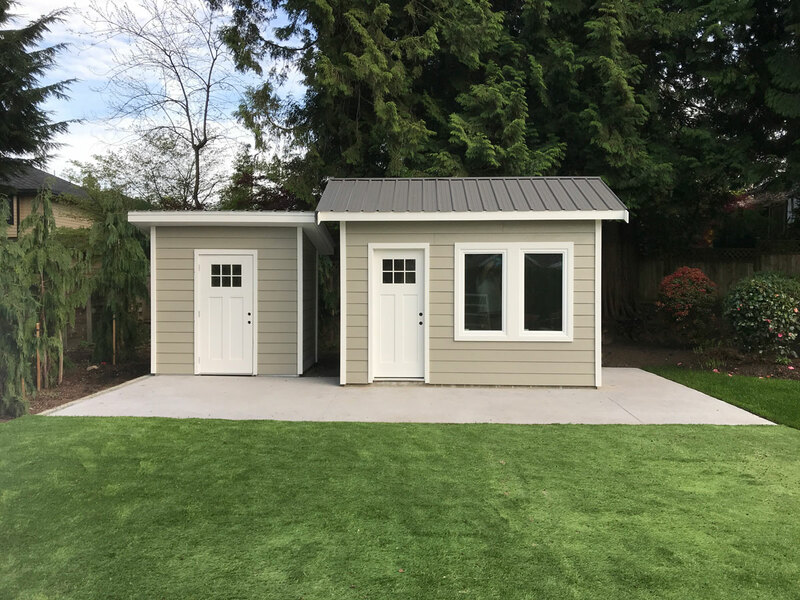 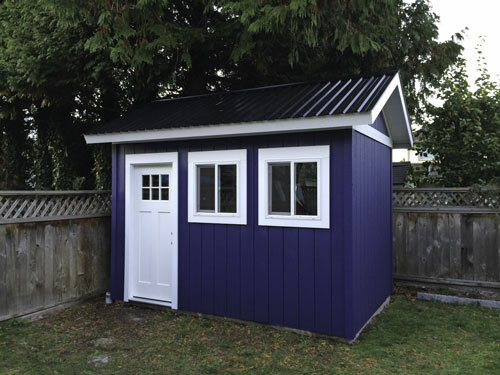 The client wanted a taller shed that would be tall enough to have a loft area or use the additional height for a workshop when working with wood or when hanging a bicycle for storage from the ceiling. 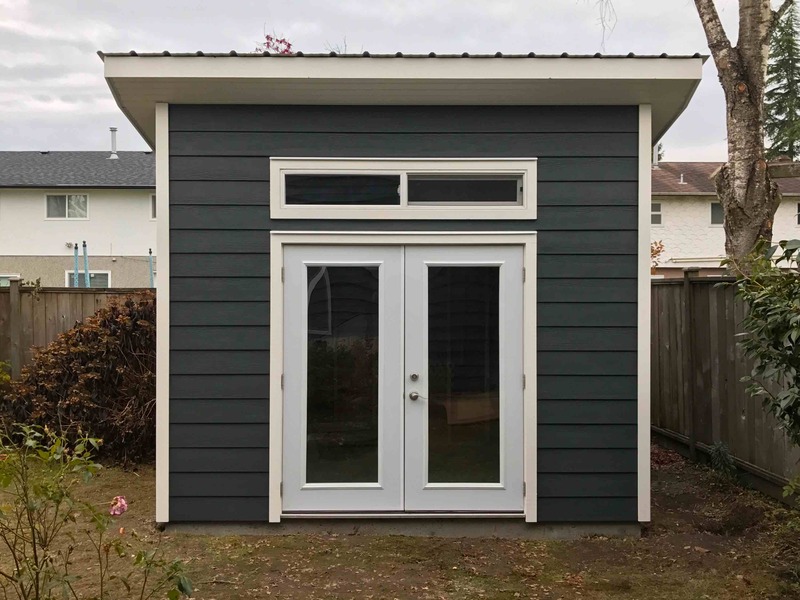 The fibre cement siding was used on the exterior to match the existing wood siding on his home. 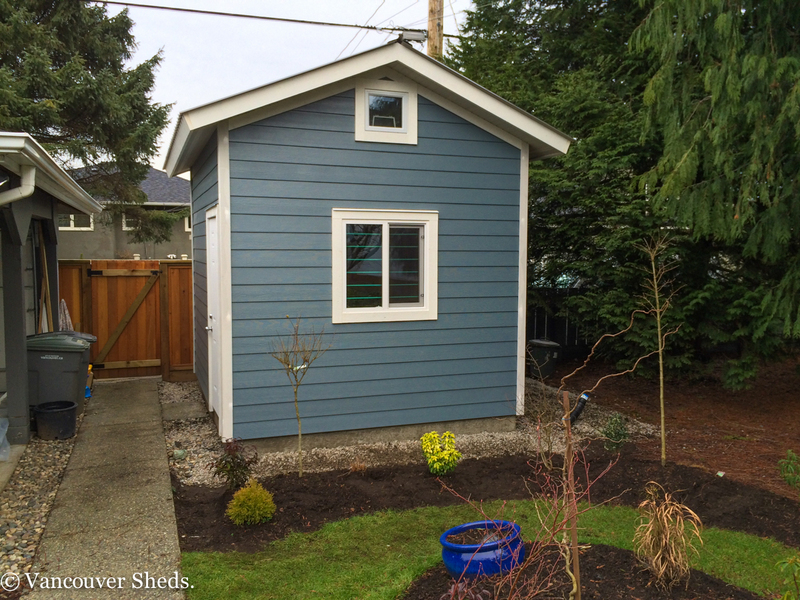 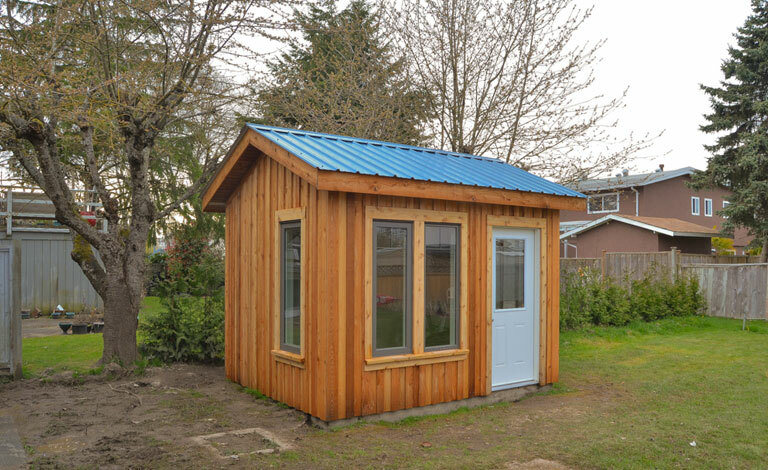 This shed also includes power for lights and the workspace area.